It’s been very cold here. How cold? Well, I thought it was cold on Tuesday when it was 11 degrees outside. 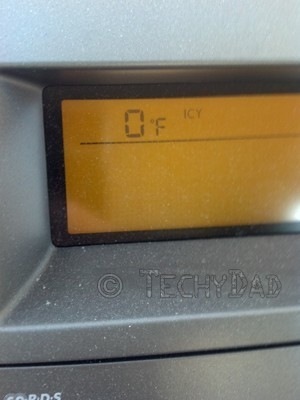 Then, on Wednesday, I was sure it was cold when it was 0 degrees. But on Thursday, it definitely was cold. 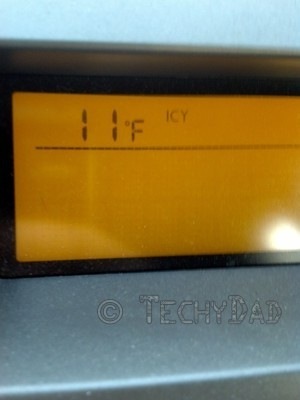 My car reported that it was -4 degrees. 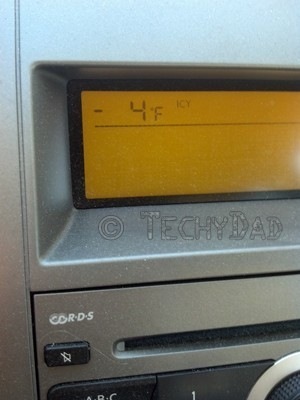 Yes, that’s four degrees BELOW zero! 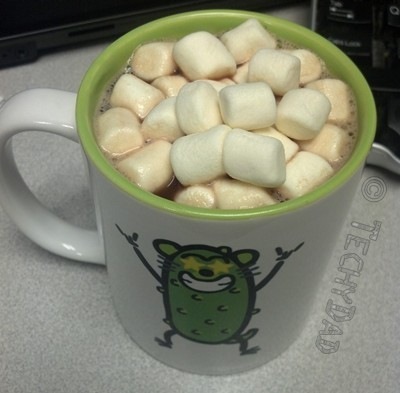 With all this cold weather, a nice hot cup of hot chocolate would be nice. Especially if it was in a Pickle Weasel mug. 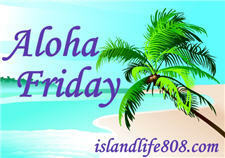 My Aloha Friday question for today is: How cold is it by you? It’s going down to -24F here tonight. Good thing I am having a hot flash. also …PickleWeasel!!! !